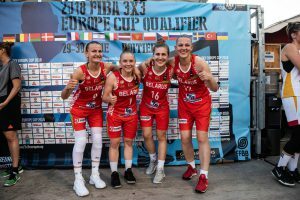 FIBA 3×3 Europe Cup marks an absolute debut for Belarus’ women’s national team at this international level. 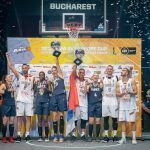 Having failed to qualify for all the six previous World Championships, as well as for the three previous Europe Cups, the Belarusians come to Bucharest after a third place at FIBA 3×3 Europe Cup Qualifier, France, 2018. Ranked 27th in the FIBA Federation Ranking for Women, Belarus is all but a convenient outsider. 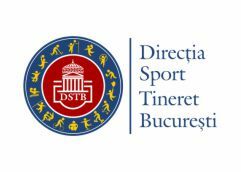 Anastasiya Sushchyk, a 1,60 m playmaker, is one of the players to watch in Bucharest. 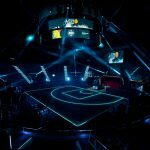 The shortest basketball player on the European Championship’s roster competes mostly for the national team and only rarely in the 3×3 regular-season tour. Anastasiya has been, for years, an asset for her Association’s 5×5 basketball national teams participating in FIBA competitions. 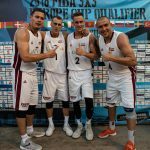 Belarus will also count on experienced Natallia Dashkevich, who has been the top scorer in the Qualifier for the FIBA 3×3 Europe Cup, with an average of 9.25 points per game.